Bitdefender’s Enterprise Security delivers layered next-gen security that consistently ranks first in independent tests. It leverages a single management platform to reduce the cost of building a trusted environment for all endpoints. 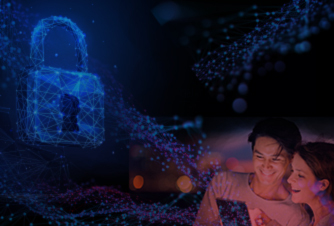 Enterprise Security lets organizations enable dedicated protection for Datacenters, Physical Endpoints, Mobile Devices, and Exchange mailboxes with the flexibility to choose which security services to deploy. All services are seamlessly managed from the highly scalable and robust on-premise GravityZone Control Center console. Choose the security services you want to deploy and manage protection for any number of endpoints or mailboxes from a single, robust, on-premise GravityZone Control Center console. 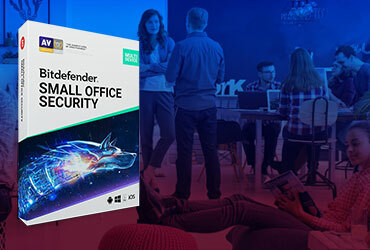 Bitdefender delivers leading next-gen protection for offices and datacenters with the smallest resource utilization, greatly improving user experience and consolidation ratios. Delivered as a virtual appliance, the GravityZone Control Center console is quick to set up and easily scales to protect any number of endpoints, with redundancy and high availability built in. Deploy security that consistently ranks first in independent tests to protect physical workstations or laptops against the most sophisticated cyber threats, including ransomware, phishing, data breaches. Protect datacenters with a dedicated security solution built from the bottom up for virtualized and hyperconverged infrastructures. Security for Virtualized Environments ensures the best performance, infrastructure consolidation ratios and application response times. Implement a holistic approach to mobile security that helps organizations maintain compliance while minimizing IT intervention and effort. Tightly integrated into GravityZone Control Center, it is not “just another solution” that adds to the workload of administrators. Protect Microsoft Exchange mail servers with leading antispam and antimalware technologies. The dedicated email security is fast to set up and deploy and is managed from the same GravityZone Control Center console. Unpatched systems leave organizations susceptible to malware incidents, outbreaks, and data breaches. Keep your OS and Applications up to date across the entire Windows install base - workstations, physical servers and virtual servers - with GravityZone Patch Management. Protects data for the entire endpoint hard drive by leveraging the encryption mechanisms provided by Windows (BitLocker) and Mac (FileVault). It takes advantage of the native device encryption to ensure full compatibility and maximized performance. GravityZone Enteprise Security comes with HyperDetect, a next-gen layer in pre-execution that uses specialized local machine models, behavior analysis techniques trained to spot hacking tools, exploits and malware obfuscation techniques. It effectively blocks attacks that both traditional endpoint and so-called “next-gen AV” defenses miss. Splunk is one of the leader aggregators in the SIEM/security analytics market that utilizes to their full potential the powerful Gravityzone reporting and monitoring options transforming logs and events into easy to read and interpret data. The Gravityzone Splunk integration makes it easier for your organization and your employees to get real-time data for analysis, security and monitoring, and displays it in a graphic layout to make it easier to interpret at a glance and take action. GravityZone is built from the ground up for virtualization and cloud to deliver business security services to physical endpoints, mobile devices, virtual machines in private and public cloud, and Exchange email servers. Don’t let virtualization protection bog down your infrastructure. Security and performance can co-exist in the cloud and virtualized data centers. GravityZone offers a low-profile security service that helps businesses manage IT risks without diminishing the benefits of scalable infrastructure. Bitdefender GravityZone is the new Bitdefender enterprise security solution for Medium-Sized to Very Large Organizations. It's redesigned from the ground up with a fresh, but proven private cloud computing architecture that takes full advantage of virtualized infrastructures. GravityZone leverages Bitdefender's acclaimed antimalware technologies and provides centralized security management platform for physical, virtualized and mobile endpoints. GravityZone is a business-agile solution that implements a holistic approach. Not just antivirus, but an enterprise-grade solution that helps organizations attain their virtualization projects objectives and secure data, while preserving the systems' performance and users' productivity. 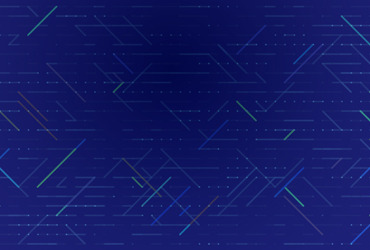 With built-in redundancy and a load-balancing mechanism, it can scale-out on demand to protect from hundreds to hundreds of thousands of endpoints, and provides administrators with a single pane of glass view into the organization's security postures, global threats and dashboards for various roles within the organization. From platform architecture to security services, GravityZone emerges as a reinvented next-gen enterprise security solution built for the new IT landscape. The solution combines highly optimized virtualization-aware security with leading detection technologies and a fresh, but proven, architecture. All this has changed the IT landscape, the way information is delivered and consumed, and how applications and services are provisioned. GravityZone itself is implemented as a private cloud solution that runs on virtualized layers and it's packed to enable organizations to secure their IT assets, while helping to reduce administration burden, lower TCO and improve the return on investment. The solution removes the scalability limitation of legacy solutions based on client-server architecture and relational databases. The improvement continues with security services, too. GravityZone extends and integrates security services to virtualized environments and mobile devices. So, as users expect a uniform experience when consuming information on a PC, laptop, tablet or smartphone, the information security will be preserved, too, whether it is accessed locally or remotely, from a workstation or a mobile device, or whether the company uses traditional or virtualized infrastructures. GravityZone Enteprise Security comes with HyperDetect, a next-gen layer in pre-execution that uses specialized local machine models, behavior analysis techniques trained to spot hacking tools, exploits and malware obfuscation techniques. GravityZone is unified by design and aims to cover all security requirements in a single solution. In the current stage, it unifies the main security services and provides a single point of management for security of physical, virtualized and mobile endpoints. Future development will integrate new security services into GravityZone, such as security for email and collaboration, and will add enhancements for services and support for other platforms. Security for Mobile Devices - enables secured BYOD adoption, with easy delivery and control of mobile device security for effective administration. IS GRAVITYZONE SVE SERVICE MANDATORY OR CAN I CHOOSE ANY SECURITY SERVICES? GravityZone is 100% modularized, meaning you can choose the services you want to license, with the needed number of units per each one. Even if GravityZone is delivered as a virtual appliance, its deployment does not require activation of Security for Virtualized Environments (SVE). However, if you already run or plan to deploy virtualization projects, we do recommend you implement SVE. With GravityZone you benefit from effective security and improved administration efficiency from two directions. On one side is the reduced administrative burden due to centralized management and architecture benefits with simple turn-key deployment of GravityZone virtual appliance, built-in redundancy and scalability mechanism, and on the other side is the optimized virtualization security services of SVE that will help you attain your business objectives concerning virtualization projects and realize the full potential of your investments.